There is a place for every type of crash cushion, but using a GATING system can expose motorists to danger in Severe Use applications and at the leading-edge of work zones where impact frequency is higher. 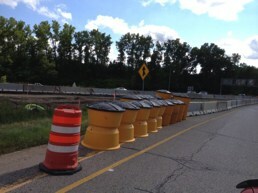 A plastic water-filled crash cushion or sand-filled barrel array that doesn’t need to be anchored might sound like the easy solution for some work zone hazards – but these GATING crash cushions allow the motorist to “gate” through the system during angle impacts. The risk to motorists at some sites might not be worth it. 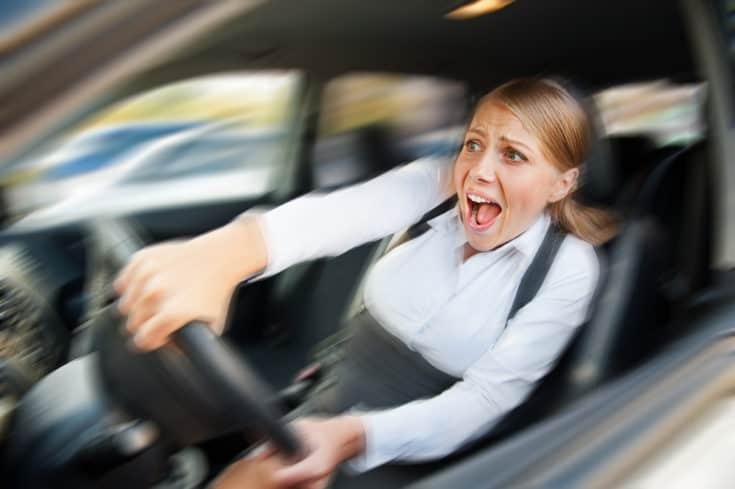 What’s the big deal about GATING crash cushions? It has to do with clear zones. Unlike non-gating (redirective) crash cushions that redirect errant vehicles, GATING crash cushions require an adequate clear zone because they are designed to allow an errant vehicle to pass through the system during angle impacts. The impacting vehicle needs sufficient space to recover and stop once it gates through the system. While there are sites where gating systems are sufficient and will function properly, there are many cases when work zones don’t provide sufficient clear zone. 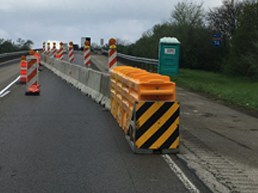 The biggest challenge of using plastic gating systems in work zones is ensuring that there is ALWAYS sufficient clear zone – even as the crash cushion is moved during lane reconfigurations. Clear zones might unknowingly become filled with equipment, construction materials, work vehicles and other hazards as the project progresses. The best choice for Severe Use applications and the leading-edge of work zones – the places where there is a higher potential for impacts – is to use a redirective, non-gating crash cushion like the REACT 350® self-restoring crash cushion. Not only does the REACT 350 provide redirective, non-gating performance – it is also self-restoring and reusable after design impacts so the hazard remains protected. The gating water-filled and sand-filled plastic systems are “sacrificial” systems and leave the hazard unprotected after an impact (requiring emergency replacement). The REACT 350 also comes fully assembled and is easy to install in a few steps. John Thomas, Inc. (JTI) rents these crash cushions to make the cost comparable to economy gating systems. When selecting a crash cushion for your next project, consider the added safety of a redirective, non-gating system for Severe Use sites and at the leading edge of work zones. JTI is committed to ATSSA’s Toward Zero Deaths initiative and always encourages choices that support the highest level of motorist safety.